Bergen County residents, know better about Jersey’s hot summers. During heat waves, conditions posed by this heat are so excruciating that staying home can be unbearable, if once air conditioner or ac system is out of order. 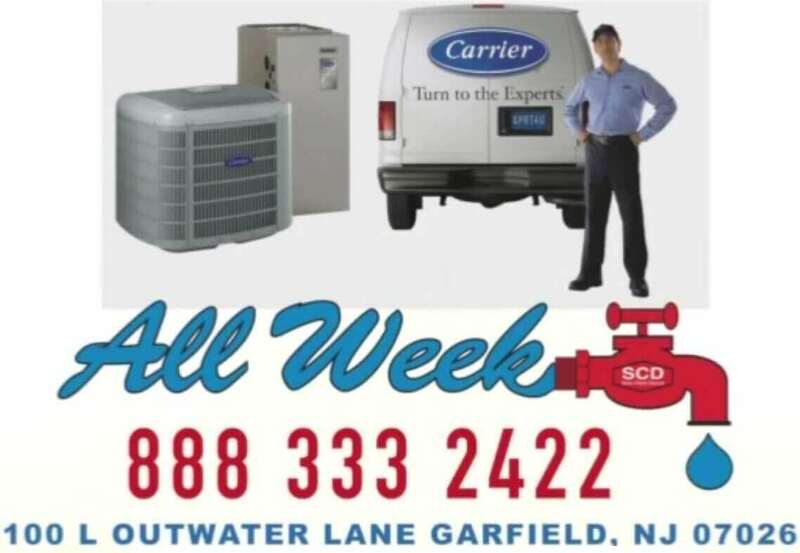 And since such a situation is often common with many of Bergen’s homes and business establishments it’s generally hard to find a reliable air conditioning contractor available on call to support you with whichever AC emergency you may be facing. Fortunately All Week Air Conditioning in Bergen County NJ is there to save you the drama. Through out the summer season we have emergency air conditioning squads highly qualified and fully equipped to support all sorts of urgent AC issues for residential and commercial, available 24/7 waiting on your emergency calls. Well, for one, we’re among the few companies in Bergen that have been licensed and insured meaning that we’re not only competent, but we go to any lengths to keep your property safe as we do our work. We have a vast experience in both residential and commercial air conditioning repairs, installations, replacements, tune ups and complete service. Our technicians are NATE certified which implies that they’re certified for their knowledge to install, repair and maintain all standard air conditioning systems for homes and commercial locations. They also support all major air conditioner brands and can advise on the most suitable device or system for your premises depending on your case. Not only that but they’re trained on keeping your premises safe and clean during the job and also to offer best customer service. We take pride in earning the trust and satisfaction of many clients in Bergen County and all over North Jersey. For your AC emergencies we’re only one call away.